So, the next morning BD called in to work and we went off the doctor. After some lab work, she said it could be a "small" case of dengue. That was the scariest thing she could've said to me. We spent the weekend going back and forth to get lab work done to monitor his numbers. My king got pricked so many times!!! On Sunday, we went to the Children's Hospital in our city. I dislike all the hospitals here, so I was surprised with this one. The employees, the way they worked. I kept hoping they wouldn't hospitalize him but in the back of my mind I was impressed with the hospital. Luckily, he didn't need hospitalization or any more meds. Tuesday, we went to his regular pediatrician and she said he was fine. I knew that though because by Monday he was up to his old tricks. Isn't a sick child the worse? I did nothing except lay with him the whole time. Anyway, that's what's going on with personal me. LOL Now on to something kind of old I've been wanting to share. Here are two videos I uploaded some months ago. I have some more canvases I want to work on and some ideas sketched out, but still have gotten around to them. Hopefully I will before this month is up. There's a cool mixed media blog that does challenges each month and I'd like to participate for June. 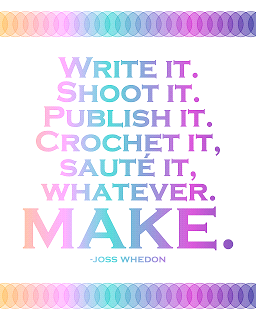 Do you take some time to relax and create? No? Then get to it! 0 comments on "A Sick Baby & Mixed Media Beginnings"